Perhaps that mindset is why he has embraced the recent lean construction/IPD project led by PrayWorks for Mountaineer Automotive in Beckley, West Virginia. 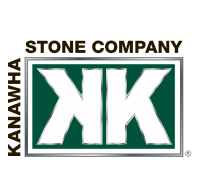 Kanawha Stone Company, as one of the key trade partners on the project, has participated in recent integrated project delivery (IPD) collaboration and planning sessions lead by Dave Pray. The IPD/Lean approach to project delivery entails more investment of resources (namely time and money) in the early stages of a project. With the builder partner in the lead role. Ownership needs to investigate and believe they have selected a good business partner when evaluating organizations at the trade level. Like the selection of a builder partner, one looks for capabilities, a strong value system and the desire to explore and investigate this new way of delivery (assuming they are inexperienced, which is the case in many markets). Working with Kanawha Stone during design development of the Mountaineer Automotive project, we were able to find an easy six-figure dollar improvement during design development. The implementation of the Last Planner System should drive additional productivity that will benefit Ownership by reducing the initial investment and by driving the project schedule to an early completion.